Goodbye 2018, you flew right by. Before 2019 takes loft, let’s pause on the past twelve months in COASST. Together, we accomplished A LOT! Beached bird COASSTers completed 3,274 surveys, documenting 2,927 birds comprised of 94 different species. Common Murres are still the top find, making up 30% of birds reported, followed by Northern Fulmars (15.7%) , and Large Immature Gulls (11%). First-ever records included a Red-footed Booby, Red Crossbill, and Burrowing Owl. Among the beached birds encountered this year, this Red-footed Booby reported by Mary Sue and Elaine was a first. Marine debris COASSTers completed 150 small debris, 224 medium debris, and 221 large debris surveys– characterizing 4,395 items! 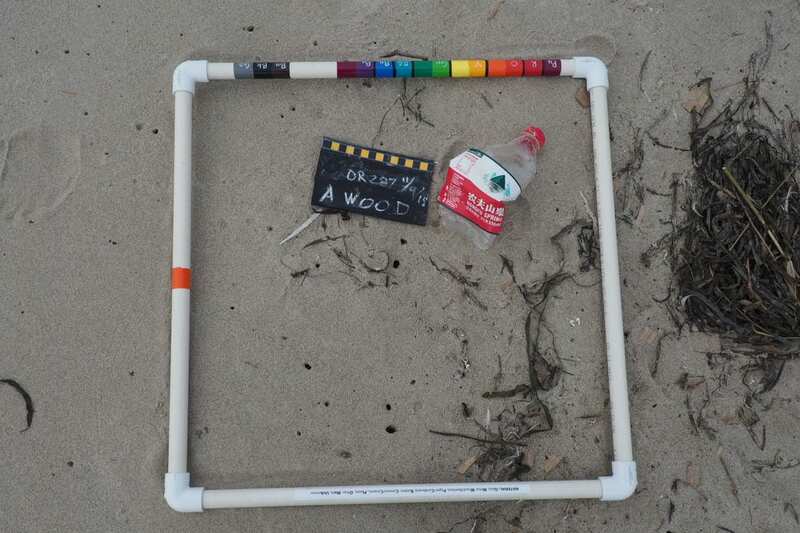 Water bottles of brand “Nongfu Spring”, like this one found by Roger and John, are emerging as a top marine debris item encountered by COASSTers. All told, COASSTers spent 5025 hours on the beach doing surveys. Add in travel, paperwork and data entry time, and over 10,000 hours were contributed to COASST. And we heard from many of you that you had fun doing it! Ron inspired us to wonder: should we amend the COASST Cover Sheet to include participant entanglement? What did all of those contributions make possible? peer-reviewed papers and Science Updates about the causes of the Scoter wreck of 2009 and Cassin’s auklet wreck of 2014-15. 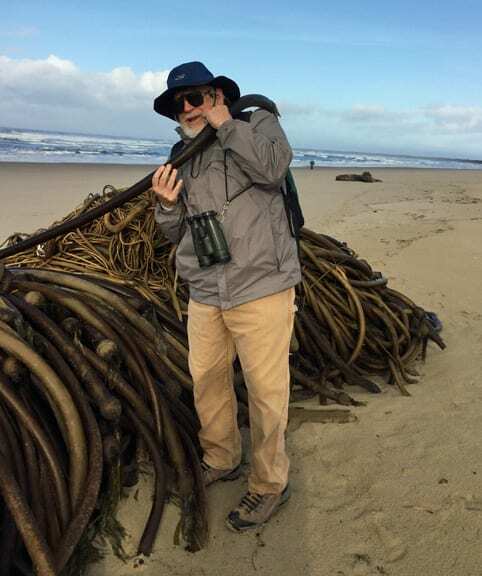 In 2019, marine conditions varied greatly across the range of COASST. In the lower 48, conditions on the beach were more or less back to normal. In the far north Pacific, Northern Bering and Chukchi Seas, sea surface temperatures continued to be warmer than normal, where we witnessed ongoing unusual mortality of seabird species. 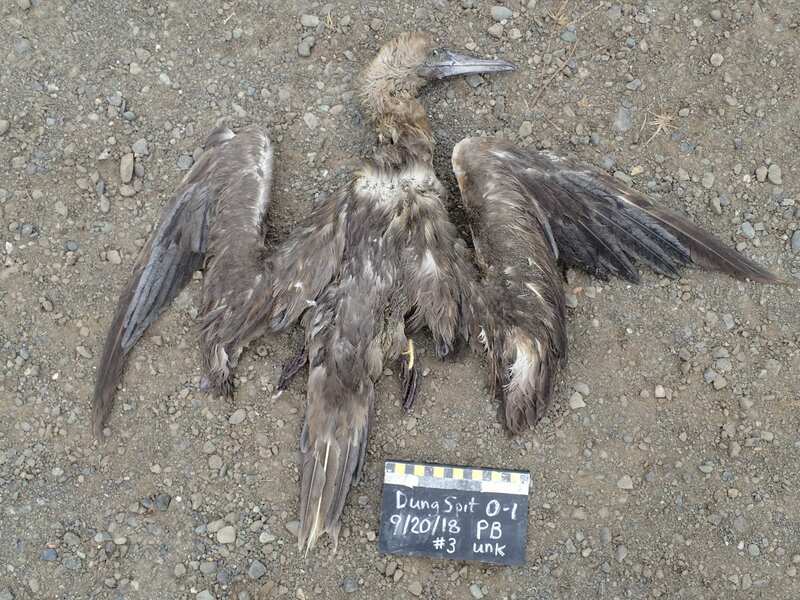 To assist with tracking these events, and in collaboration with agencies, communities and organizations throughout Alaska, we launched “Die-off Alert” — a method of reporting observations of die-offs where monthly surveys are not conducted, and a quarterly newsletter In The Wings. A huge THANK YOU to all of the participants, partners, interns and funders who worked with us this year, and cheers to the year ahead! This entry was posted in Uncategorized on January 4, 2019 by coasst.